Any FAR deals on Kaspersky these days? Or anyone have an extra license? Anyone use 'Windows Defender'? is it any good? Are there usually any FAR on non-resource heavy AV like Eset or BitDefender? Not that I'm aware of, usually it is Kaspersky, and at times also McAfee. AFAF, Avast is prompting them to upgrade with the following warnings. Are they legit? Is there something to beware of? 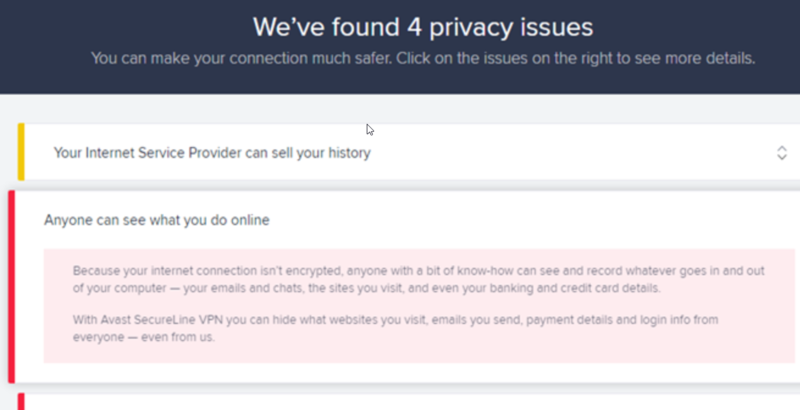 They are technically right and truthful, but...these are general punch lines for using a VPN service for privacy and security, nothing special with Avast's VPN product. And I wouldn't really fear for it unless using public Wi-Fi or internet. That's what I figured, but thanks for verifying it for me! Is avast still the best free anti virus ? It's never something black on white, but I'd argue that the recently made available Kaspersky Free is better. FAR with 5x from Staples is much better.